How Many Visitors Came to Tampa in 2008? I&apos;m not sure if you have actually ever wondered what the answer to this question is, but just in case you have.... I have the answer! 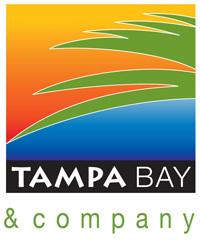 Tampa Bay hosted more than 16.1 million visitors in 2008 (whew! ), and among those visitors, a total of $2.73 billion was spent in Hillsborough County. Nearly 54,700 local jobs were provided by the hospitality and tourism industry, and those jobs produced $1.1 billion in wages. Those are some big numbers, and we hope that 2009 will match the success of last year. Thanks for checking in with us, and keep coming back for more info on Tampa Bay meetings and more!